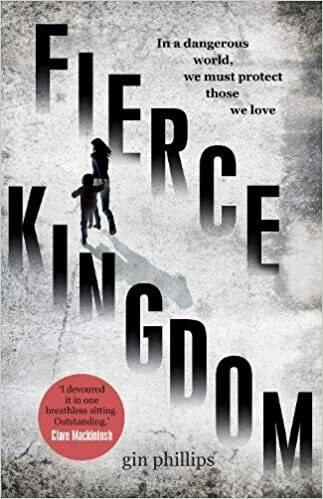 Fierce Kingdom begins in a zoo near closing time as Joan tries to persuade her four year old son, Lincoln, that it’s time to leave his favourite place and to head home. As they rush towards the exit she realises that the fire crackers she heard earlier- and quickly disregarded were gunshots, and that they are in horrifying danger. They run. They hide. Over the three hours that follow, Joan must use all her ingenuity and instinct to keep them safe, but must also make unimaginable choices. Gin grew up in Montgomery, Alabama. After earning a degree in political journalist, Gin worked as a freelance magazine writer for nearly a decade. She lived in Ireland, Thailand, New York and Washington D.C. Fierce Kingdom is her debut thriller. “She watches one of them raise his phone to his face. He is clean shaven and light-haired, and he is white, just as she thought. His face is thin and unimpressive, an she wonders whether his is the thin-voiced one, whether his face somehow matches his sound. Fierce Kingdom is available here.